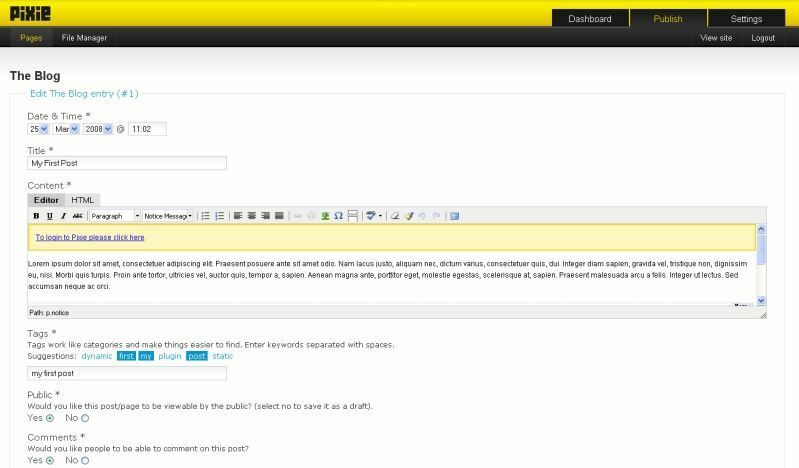 Want to quickly see how the open-source software Pixie CMS works? You'll find a free and updated demo installation of Pixie CMS here. 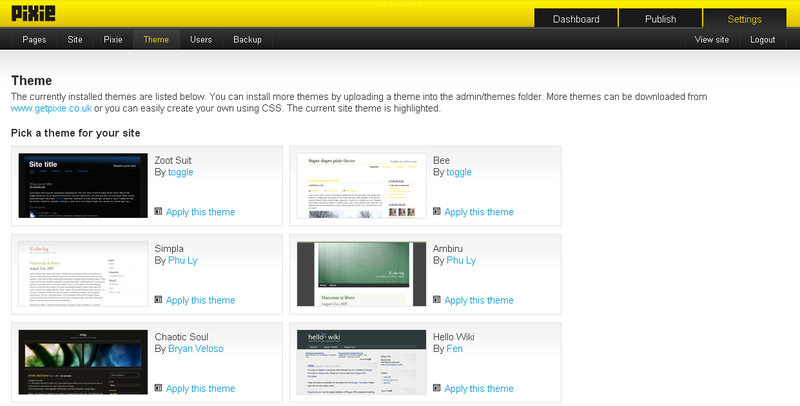 We are currently updating the Pixie CMS demo. Please check back shortly. There will be a new version up soon. Pixie CMS was first released by its creator, Scott Evans in May 2008 and it was designed for the creation and management of small websites. Being promoted as a “small, simple, site maker”, Pixie came in second in the Packt Publishing Open Source Content Management System Awards in the category of Most Promising Open Source CMS. Pretty soon after that, Pixie CMS went through the largest upgrade up to date, in March 2010, with the launch of version 1.04 when it featured the new WYSIWYG editor, more available languages and the latest version of jQuery. Just like any other CMS, Pixie brought a lot of features to its users, aside from an intuitive user interface and a variety of themes. It offered search engine optimization capabilities and the option to create clean URLs, a file manager and database backups. If you’re interested in how this CMS works, you can get a preview of its features if you download this content management system and set up a Pixie demo. A quick review of the admin demo will show you that you can set up user privileges, you have multilingual support and a WYSIWYG HTML editor in the admin area. 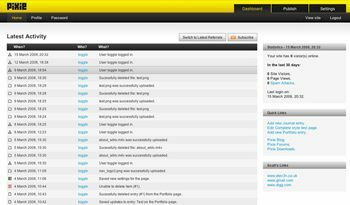 Pixie CMS is free of charge and released under the GNU General Public License, which allows users to use and modify the software as they please. At the beginning of 2011 Lucid Crew of Austin Texas purchase Pixie CMS and its website.